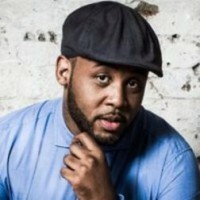 BRITAIN'S mainstream R&B singer Tony Momrelle, best known for his work with Incognito, has released his 'Best Is Yet To Come' album. Said Momrelle, "In 2015, I launched my solo career with the release of my 'Keep Pushing' album and have had the pleasure of working and touring with some of the best musicians in the world. My solo career is still very much in its infancy, and it's time now for me to show my fans what I have been working on, with the creation of my own record label Vibe45 Records. This first release on the new label, 'Best is Yet to Come', is about shaking off the old and embracing the new, letting go of things, situations and even people that may hold me back and saying to my fans that the best is really yet to come."